Many are probably already aware of this fact, but Henry Schein has different divisions that serve different aspects of healthcare. One of them is in the veterinary market. Recently Schein announced that it will be merging its Animal Health business and merge it with Vets First Choice. The resulting new company will be known as Vets First Corp.
MELVILLE, N.Y., and PORTLAND, ME, April 23, 2018 – Henry Schein, Inc. (Nasdaq: HSIC) and Vets First Choice announced plans today for Henry Schein to spin off its Animal Health business and merge it with Vets First Choice, creating an innovative approach to advancing the delivery of animal health care designed to provide unique benefits to veterinarians, manufacturers, pet owners, and their pets. The new company, to be called Vets First Corp., will harness insights and analytics to provide pro-active prescription management, and combined with Henry Schein’s leading global animal health solutions, will create a unique animal health service and technology platform dedicated to supporting the veterinary market. By bringing together the power of data analytics, digital communications, practice management software, and supply chain expertise into a multi-channel platform, Vets First Corp. is expected to improve health outcomes for the benefit of pets and their owners, while driving increased demand for products and services for the benefit of veterinary offices and manufacturers. “We are excited about the merger of Henry Schein Animal Health with Vets First Choice. Over the years we have observed the impressive success of Vets First Choice and believe the combined management team is well positioned to capitalize on the significant opportunities created by the merger,” said Stanley M. Bergman, Chairman of the Board and Chief Executive Officer, Henry Schein, Inc.
Henry Schein Animal Health (HSAH) is the world’s largest and only global supply chain provider of animal health products and related services, with market-leading positions in North America, Europe, and Australia/New Zealand. HSAH has approximately 4,300 team members and active customers include approximately 75% of veterinarians in the U.S., and 70% of veterinarians in Europe and Australia/New Zealand. In addition, more than 50% of U.S. Animal Health practices currently utilize Henry Schein’s practice management software platform to drive office productivity and customer engagement. Vets First Choice has approximately 750 team members in the U.S., and more than 5,100 veterinary practices on its prescription management platform. “For Henry Schein, we believe the transaction benefits our shareholders in two ways,” Mr. Bergman said. “We believe Vets First Corp., as an independent public company focused exclusively on animal health, will be well-positioned to achieve a premium valuation in the market. We believe the transaction positions Henry Schein shareholders to benefit from their investment in a more focused dental and medical growth company. Following the close of the transaction, on a pro forma basis, Henry Schein’s total 2017 revenue for the remaining business will be approximately $9.0 billion with approximately $690 million in GAAP operating income, or $695 million on a non-GAAP basis (see Exhibit A for reconciliation of GAAP operating income and non-GAAP operating income). Henry Schein expects to deliver EPS growth for the remaining consolidated business in the high-single digit to low-double digit range. Henry Schein expects to update full-year earnings guidance for the remaining business once the transaction closes by the end of 2018. Henry Schein will nominate six individuals to the board of directors and Vets First Choice will nominate five individuals to the board. Stanley Bergman will serve as a board member of Vets First Corp. and will continue as Henry Schein’s Chairman of the Board and CEO. Henry Schein, Inc. will nominate the Chair of the Governance and Nominating Committee of Vets First Corp., who will also serve as lead director. Ben Shaw, the CEO of Vets First Choice, will become the CEO of Vets First Corp., and David Shaw, Chairman of the Board and Co-Founder of Vets First Choice, as well as Founder of IDEXX Laboratories, Inc., will serve as Chairman of Vets First Corp. The current management of HSAH and Vets First Choice will have senior roles in Vets First Corp. The transaction is structured as a “Reverse Morris Trust” transaction intended to be tax-free to Henry Schein shareholders for U.S. tax purposes. It is currently expected that shares of Vets First Corp. common stock will be distributed to Henry Schein stockholders in connection with the spin-off of the Henry Schein Animal Health business and to Vets First Choice stockholders in the subsequent merger. In addition, equity incentives held by Henry Schein Animal Health and Vets First Choice employees will be converted into equity incentives in respect of shares of Vets First Corp. and shares of Vets First Corp. may be issued to certain minority holders of Henry Schein Animal Health subsidiaries in exchange for their interests in those subsidiaries. It is expected that Henry Schein shareholders and the aforementioned Henry Schein Animal Health-related parties will own approximately 63% of Vets First Corp. common stock immediately following the transaction, while Vets First Choice investors will own approximately 37% of such stock. The precise ownership percentages are subject to adjustments as set forth in the transaction agreements, but in all cases Henry Schein shareholders will receive a majority of Vets First Corp. shares in the transaction. It amazes me often, how brazen and yet how foolish law breakers can be. I’m not talking about the guy who robs the gas station while wearing his name tag from work (although that applies as well). No, talking about healthcare providers that brazenly ripoff the system, frequently to the tune of millions, and expect not to get caught. As someone who is licensed to practice dentistry in two states, I expect my fellow healthcare providers to be the very best they can be. That’s what is expected of us by our patients. Unfortunately, not everyone who cares for others has that same interest as their personal guide. Take for instance Vladimir Prado. He owned a Miami medical clinic and a Miami rehabilitation clinic. Through those two enterprises, he managed to fraudulently bill for approximately 10 million dollars of treatment. That’s right, 10,000,000 dollars. Needless to say, when you are billing those kinds of numbers, the federal government pays close attention. That’s why Vladimir Prado is going to be spending the next 8 years behind bars and paying of 4,000,000 dollars in restitution. A Miami, Florida man was sentenced to 97 months in prison today for his role in an approximately $10 million health care fraud scheme involving a now-defunct home health clinic and two sham physical rehabilitation clinics located in Miami. Acting Assistant Attorney General John P. Cronan of the Justice Department’s Criminal Division, U.S. Attorney Benjamin G. Greenberg of the Southern District of Florida, Special Agent in Charge Robert F. Lasky of the FBI’s Miami Field Office, Special Agent in Charge Shimon R. Richmond of the U.S. Department of Health and Human Services Office of Inspector General’s (HHS-OIG) Miami Regional Office and Special Agent in Charge Brian Swain of the U.S. Secret Service’s (USSS) Miami Field Office made the announcement. Vladimir Prado Sr., 52, was sentenced by U.S. District Judge Robert N. Scola of the Southern District of Florida. Judge Scola also ordered Prado to serve three years of supervised release following his prison sentence and pay $4,001,499 in restitution, jointly and severally with his co-defendants. Prado pleaded guilty on Feb. 2, to one count of conspiracy to commit health care fraud and wire fraud charged in an October 2017 superseding indictment and to one count of conspiracy to commit health care fraud and wire fraud charged in a November 2017 indictment. In connection with the October 2017 charges, Prado admitted that he owned a Miami medical clinic that submitted approximately $5 million in false and fraudulent claims to Blue Cross Blue Shield, resulting in payments to the clinic totaling approximately $2.6 million. In connection with the November 2017 charges, Prado admitted that he was a co-owner of a Miami rehabilitation clinic that submitted approximately $2.6 million in false and fraudulent claims to Blue Cross Blue Shield, resulting in payments to the clinic totaling approximately $1.4 million. Prado further admitted that he also provided the money to purchase a fraudulent home health agency. Prado also admitted that from December 2012 through April 2014, he and his co-conspirators submitted to the Medicare program, via interstate wires, approximately $2.2 million in claims for reimbursement, which falsely and fraudulently represented that various home health care benefits were medically necessary, prescribed by a doctor and provided to Medicare beneficiaries. As a result of these false and fraudulent claims, Medicare made payments to the corporate bank accounts of the home health agency in the approximate amount of $3.9 million, Prado admitted. The cases were investigated by the FBI, HHS-OIG and USSS and were brought by the U.S. Attorney’s Office for the Southern District of Florida and by the Criminal Division’s Fraud Section, as part of the Medicare Fraud Strike Force. Trial Attorney Adam G. Yoffie of the Fraud Section and Assistant U.S. Attorney Christopher J. Clark of the Southern District of Florida are prosecuting the case. 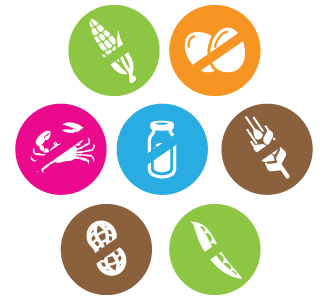 As we all know, food allergies, especially to peanuts, is a huge concern to many parents who have children suffering from a severe allergy to them. For some kids, even the airborne dust from opening a package of peanuts is enough to send them into potentially fatal anaphylaxis. Now, comes information from the University of Michigan (co-funded by the U.S. Department of Defense) that a nasal mist vaccine is protecting mice from peanut allergies. While usage on mice is a long way from the FDA approving it for humans, this is still incredible news. It doesn’t look like peanut allergies will abate any time in the near future, so this kind of research could change lives for the better in the not too distant future. A vaccine delivered as an ultrafine nasal spray was found to limit or prevent peanut allergy symptoms in mice that had been sensitized to peanut, according to a study published today in the Journal of Allergy and Clinical Immunology and supported by Food Allergy Research & Education, the leading organization working on behalf of patients with food allergies and the largest source of private funding for food allergy research. Researchers with the Mary H. Weiser Food Allergy Center at the University of Michigan developed the vaccine as a new form of immunotherapy to treat allergies to peanut. If you are interested in reading the full article on Science Daily, follow the link. For anyone who has been following security in healthcare lately, the security of medical devices has become a hot topic. There have been concerns regarding pacemakers that are updated via radio signal as well as lots of legacy systems providing all kinds of healthcare functions. 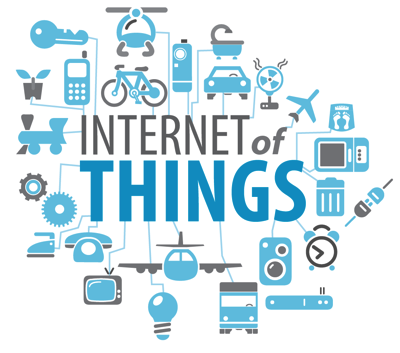 Now as we move forward with the IoT (Internet of Things), healthcare is seeing more and more devices that could be hacked or manipulated. To help battle the potential for cyber threats affecting both point of care and patients using devices, the FDA is putting together ideas to help secure devices involved in healthcare. Although we’ve seen a few instances of cyber threats in healthcare, we’ve not yet seen a full blown catastrophe… yet. Kudos to the FDA for having the forward thinking to help prevent or at least minimize a future disaster. The RansomWare disaster that affected Europe a while back caused some real problems for hospitals in Great Britain. While it wasn’t a full blown disaster, I think it was enough of one that I’m relieved to see FDA trying to minimize these issues in the future. Unfortunately cyber security is one of those things that, like my grandfather used to say “locks keep honest people honest, but they just slow crooks down”. It’s impossible, by nature, to completely secure a system. However, doing everything possible to slow crooks down is exactly the right thing to do for healthcare IT. The entire Medical Device Safety Action Plan is available for viewing and download as a pdf file if you are interested. Also FierceHealthcare has a nice article on the whole situation. Cellerant Consulting Group is excited to announce that Dr. Chris Salierno has joined the company as the newest member of its esteemed Chief Development Officer (CDO) team. Dr. Salierno has also joined the Cellerant Best of Class Technology Award panel of judges which is currently concluding deliberations for 2018 award winners that began in February at the Chicago Midwinter Meeting. In addition to practicing dentistry, Dr. Salierno is the Chief Editor of Dental Economics. He lectures internationally on clinical dentistry, practice management, and leadership development. He has served as the National President of the American Student Dental Association and Chair of the ADA New Dentist Committee. He is currently a general dentist in his Long Island, New York based practice and graduated from Stony Brook School of Dental Medicine in 2005. “We have been fortunate that Cellerant has grown rapidly since its launch two years ago,” said Dr. Shuman. “It’s the perfect time and opportunity to add someone of Chris’s caliber to the team as a CDO. As a member of the Best of Class panel Chris also brings great perspective to judging the best technologies from a practice growth perspective,” said Dr. Shuman. Founded and led by CEO Lou Shuman, DMD, CAGS Cellerant provides strategic dental market insights, clinical expertise, and implementation resources to accelerate growth for client dental companies. Cellerant services include product development, accelerated market awareness due to intimate relationships with the media community, new concept incubation, clinical product evaluation, manufacturing, seed funding, continuing education program development and CE sponsorship, 510k support, strategic branding and marketing, corporate social media, website development and online marketing resources, lead generation and dental media relations management. As an orthodontist and former owner of a 10-doctor multi-specialty private group practice, Dr. Shuman guides clients to develop offerings that connect with and engage dental customers on a relationship level that provides sustained differentiation. Cellerant operates under a unique model that merges leading voices in clinical product evaluation and strategic partner companies to provide a menu of services from one easily accessible network. Since the inaugural presentation in 2009, the “Best of Class” Technology Awards have grown to occupy a unique space in dentistry, by creating awareness in the community of manufacturers that are driving the discussion as to how practices will operate now and in the future. The selection process relies on an expert panel of dentists recognized as thought leaders and educators that includes Dr. Paul Feuerstein, Dr. John Flucke, Dr. Marty Jablow, Dr. Chris Salierno and Dr. Lou Shuman. Over the course of each year, the panel members seek out and conduct research on potentially practice-changing technologies, with official deliberations beginning at the Chicago Midwinter and final selection concluding in May. Panelists are precluded from voting in any category where they have consulting relationships. The entire selection process is conducted rigorously and managed on an unbiased not-for-profit basis. For more information on the Cellerant Best of Class Awards go to www.cellerantconsulting.com​/BestofClass. SAVANNAH, GA (April 17, 2018) – Brasseler USA®, a leading manufacturer of quality instrumentation, is pleased to expand upon its extensive family of operative carbide burs with its new C-Series Carbides. 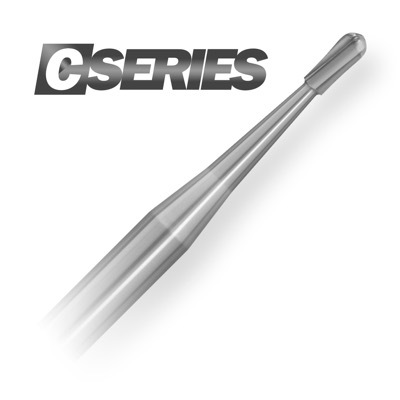 The latest addition to the classic Peter Brasseler Series, C-Series Carbides, are designed to address the #1 problem clinicians experience while using carbide burs, breakage. 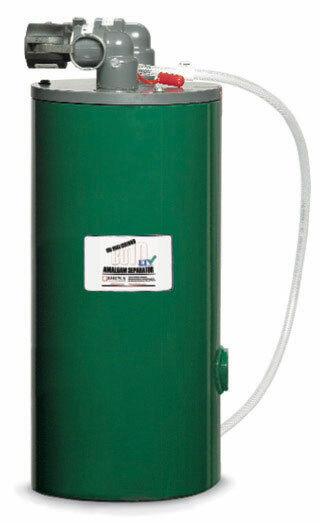 “Carbide burs have traditionally been designed with a two-piece construction. Our new single-piece design enhances head integrity, a major advance in the marketplace,” explains Larry Rose, Director of Innovations for Brasseler USA. The unique and durable single-piece construction of the C-Series Carbides can enhance patient care and minimizes unforeseen handpiece repairs, improving clinicians’ daily practice flow. In addition to its innovative single-piece solid carbide construction, C-Series Carbides feature improved blade geometry for extremely rapid and precise cutting, consistent with the superior performance and quality that dental professionals have come to expect from the Peter Brasseler Series. Now available in head sizes less than 1.6mm, C-Series Carbides offer a wide selection of the most popular operative carbide shapes, including 330, 557, 245, and Rounds. Oral Health America has just released their latest report on older Americans and oral health services. The OHA’s mission is to change lives by connecting communities with resources to drive access to care, increase health literacy and advocate for policies that improve overall health through better oral health for all Americans, especially those most vulnerable. That’s a very noble endeavor. They have been releasing these reports since 2003 and the data continues to expand. As we all know, the population of America continues to grow and along with that comes the expansion of older Americans. OHA is on the front lines of making sure that these folks are looked after and some of the data included with the report is fascinating. Today, Oral Health America (OHA) releases A State of Decay, Vol. IV – a state by state analysis examining the state and national variables impacting the oral health of older adults as a key factor to their overall health and wellness. Did you know – by 2029 the baby boomer generation will include older adults ranging from ages 65 to 83 years old? While the 65+ population will fall under the same Medicare system, the needs of the oldest and youngest baby boomers will look very different. A State of Decay, Vol. IV illustrates states’ progress in some areas and the need for continued action and long-term systems change solutions. OHA has created supplemental resources, including key messages and guidelines on how to talk about state scores, for stakeholders to use while advocating locally and engaging in conversation about what they are doing in their state to advance the oral health of older adults. As advocates for oral health equity for all, we urge you to use A State of Decay to tackle the unaddressed issues in your state and work toward changing the lives of seniors. We know it’s not about a pretty smile – it’s about whole body health, and it starts with us. If you’d like to download the report and take a look at this fascinating data, here is the link. Enjoy! On April 2nd I got the chance of a lifetime. I was invited to witness the SpaceX CRS-14 NASA Launch during a behind the scenes tour of the Kennedy Space Center in Florida. I got to stand pretty much right where this video was taken, in the media area for launch. It was an incredible day. In addition to the launch, I toured and stood on the launch pad where the Apollo and Space Shuttle missions were launched, toured part of NASA's lab, and also toured the Vehicle Assembly Building which, I learned, is the largest one story building on the planet. I've been really fortunate to get to do some incredible things in my life and this one might have just moved into the #1 slot on my list of 10 Best Things I got to Do. How did I get this lucky you may ask? Well, my advice is to go to Twitter and follow @NASASocial. Believe it or not, they have these gatherings on a regular basis and I simply applied when a social gathering was announced. I figured that I had as good a chance to make it as anyone, and by some small miracle, I was one of 40 people chosen for the event. This was truly a nerd's dream come true and I'm keeping my ID badge from the event forever! I big thank you to NASA and to their social media team for giving me a day I'll never forget. Walking where heros and geniuses have walked is a rare and amazing feeling. I highly recommend it! South Jordan, UT April 5, 2018 – Ultradent is pleased to announce Dr. Bertice Berry as the keynote speaker for the upcoming event Icons of Dentistry: A Workshop for Women. Dr. Berry is a best-selling author of 11 fiction and non-fiction books, award-winning lecturer, and doctor of sociology. She has also been named Comedian-of-the Year, Lecturer-of-the-Year, and Entertainer-of-the Year by various organizations. Dr. Bertice Berry has hosted her own nationally syndicated television show, and appeared on The Tonight Show, the Oprah Winfrey Show, Crossfire, 20/20, NPR, PBS, Comedy Central, and CNN. Dr. Berry has also been a featured speaker at TEDx. Dr. Berry’s literary work covers a wide range of topics, including healthcare, humor, health and wellness, relationships, servant leadership, diversity, love, and finding your purpose. Berry has also led parades, had classrooms named after her, and been awarded ten honorary doctorates. She earned her own doctoral degree from Kent State University at the age of 26. Dr. Berry firmly believes that every person has a unique purpose and that it is everyone’s obligation to find it and use it to improve one’s own life and the lives of others. Dr. Berry is the adoptive mother to five children, which she considers her greatest accomplishment. The Icons of Dentistry: A Workshop for Women event will take place June 22–23, 2018 at Ultradent’s international headquarters in South Jordan, UT. It will feature iconic women in the field of dentistry teaching classes and workshops on everything from work/life balance, practice building and management, esthetic dentistry, lasers, and more. Attendees will be treated to a special dinner in an orchard at the home of Dr. Dan Fischer, founder and CEO of Ultradent, as well as a cocktail social where attendees can mingle with each other and the event’s speakers. Additionally, all other meals, including another special dinner event, will be included in the price of the workshop. By attending Icons of Dentistry: A Workshop for Women, clinicians will earn 16 continuing education credits. Registration begins March 8, 2018, with 100 spots available. The early bird ticket rate is $99, and is available until April 20, 2018. After that, tickets are $199. Ultradent has reserved hotel rooms for rates ranging from $109/night to $129/night at the Courtyard Marriott, the Hampton Inn, and the Residence Inn in Sandy, Utah. More hotel information is available at www.iconsofdentistry.com. To register for, or learn more about Icons of Dentistry: A Workshop for Women, please call 800.520.6640 or visit www.iconsofdentistry.com. CHARLOTTE, N.C. (April 6, 2018) – Dentsply Sirona Inc., The Dental Solutions CompanyTM, announced today that three-time Grammy nominated comedian, actor, writer, producer and two-time New York Times best-selling author Jim Gaffigan will perform a private standup act for Dentsply Sirona World attendees in Orlando, Florida on Thursday evening, Sept. 13. Known around the world for his unique brand of humor, Gaffigan's standup revolves around his observations on life, including being lazy, bad eating habits and being a husband and father to five children. Gaffigan has been nominated for three Grammy Awards for comedy albums, “Jim Gaffigan: Mr. Universe,” “Jim Gaffigan: Obsessed” and “Cinco.“ Additionally, he also won a Daytime Emmy in 2016 for his humor commentaries for CBS Sunday Morning. He has 10 films slated to release or start production in 2018, hitting almost every genre including comedy, drama, thriller, fantasy and animated features. His new standup special “Noble Ape” will release worldwide July 17 on multiple platforms, a first for a major comedian. In 2013, Jim’s first book ‘Dad is Fat’ was released by Crown Publishing and debuted at #5 on the New York Time’s Bestseller’s List and remained on the list for 17 weeks after. His second book, “Food: A Love Story” was released in the fall of 2014 and debuted at #3 on the New York Time’s Bestseller’s List. Gaffigan is currently on his new Fixer Upper international arena and theater comedy tour, with dates in China, Japan, England, Ireland, Belgium, Amsterdam, Canada, Paris, Denmark, Sweden, Norway, Finland and Iceland, in addition to his special appearance at Dentsply Sirona World in September. A three-day educational extravaganza, Dentsply Sirona World offers groundbreaking general sessions, innovative and informative breakout sessions, copious networking opportunities and amazing entertainment for all who attend the event at the Rosen Shingle Creek Resort. Lock in your spot in the audience for Gaffigan’s performance and all other DSW18 events by registering now to attend. Act quickly, as Early Bird registration rates are available for Dentsply Sirona World through May 31. Doctor registration is offered for only $1,795 (regular $1,995). Staff/spouse/guest/technician registration is only $1,095 (regularly $1,195) and is buy three get one FREE! Register now at www.dentsplysironaworld.com or contact the DSW18 hotline at 1-844-462-7476 or email events@dentsplysironaworld.com. The Dental Solutions Company TM, Dentsply Sirona’s products provide innovative, high-quality and effective solutions to advance patient care and deliver better, safer and faster dentistry. Dentsply Sirona’s global headquarters is located in York, Pennsylvania, and the international headquarters is based in Salzburg, Austria. The company’s shares are listed in the United States on NASDAQ under the symbol XRAY. Visit www.dentsplysirona.com for more information about Dentsply Sirona and its products. According to research conducted by Web.com (Nasdaq:WEB), the marketing partner for businesses wanting to connect with more customers and grow, a new patient spends an average of 15 extra minutes going through the registration process at a dental practice. Dental offices are feeling the pain, too, as it often takes time and effort to have patients manually complete forms, which then must be scanned or transcribed by hand into back-office software. Web.com today announced that Lighthouse 360, the company’s premier dental appointments reminder and relationship marketing software, now comes with “Patient FastTrack,” which sends a friendly text message to new patients, prompting quick and easy registration and document signing through their mobile devices -- all before they even pick out a seat in the waiting room. Designed to be simple and streamlined by requesting only essential information, the new Patient FastTrack feature cures a pain most often felt on both sides of the front desk. FastTrack is now available to current Lighthouse 360 customers and comes standard at no extra cost to all new clients who sign up for their automated patient-communication service. And for those wanting to learn a little more, free demonstrations can be scheduled by visiting http://www.lh360.com/fasttrack or by calling 1-888-368-9101. Lighthouse 360 puts the patient and practice at the center of its decisions as it innovates new features, and Patient FastTrack delivers on that commitment. It follows the successful introduction of the Fill-in feature, the first to automatically detect last-minute cancellations in a dentist’s schedule and automatically reach out to patients most likely to want the vacated appointment – such as those who are overdue for their check ups or have requested a more immediate appointment time. Once a patient has confirmed interest, the dentist simply approves the new appointment. Lighthouse 360 — a Web.com product since 2016 — automates dentists' daily consumer interactions and office routines such as appointment reminders, leading to improved operational efficiency and business results. Lighthouse 360 features include phone, text, email and postcard appointment automation, reactivation letters, family messages, patient reviews, seamless practice management integration, all-day data synchronization and more. The automated messaging capabilities have helped customers increase production by an average of 30 percent, and its features designed to boost practice efficiency, on average, save dental practices 16 hours per week and eliminate seven hours of weekly phone time for the front desk. Lighthouse 360 serves dentists throughout the United States and Canada. Lighthouse 360 is a recipient of two Townie Choice Awards, one of the most prominent peer recognitions in dentistry, organized by Dentaltown Magazine. The software is also recognized as a Dental Product (DPS) Best Product, earning a score of 4.9/5 by their team of evaluators. Since 1997 we at Web.com have been the marketing partner for businesses wanting to connect with more customers and grow. We listen, then apply our expertise to deliver solutions that owners need to market and manage their businesses, from building brands online to reaching more customers or growing relationships with existing customers. For some, this means a fast, reliable, attractive website; for others, it means customized marketing plans that deliver local leads; and for others, it means customer scheduling or customer-relationship marketing (CRM) tools that help businesses run more efficiently. Owners from big to small and everything in between can focus on running the companies they know while we handle the marketing they need. To learn how this global company collaborates with customers and employees to achieve their potential, explore Web.com or follow on Twitter at @webdotcom or on Facebook at www.facebook.com/web.com. -- Henry Schein, Inc. (Nasdaq: HSIC), the world's largest provider of health care products and services to office-based dental, animal health, and medical practitioners, and Internet Brands, a leading provider of web presence and online marketing software, announced today the creation of a joint venture designed to deliver integrated dental technology to help the profession improve practice management and marketing as well as patient communication. Henry Schein Practice Solutions is the leading dental practice management software company and will bring to the venture its market-leading suite of practice management systems. Internet Brands is the market leader in web-based software applications used by dental offices to attract and retain patients and manage online reputation. The joint venture, to be named Henry Schein One, will include the Henry Schein Practice Solutions products and services, such as Dentrix, Dentrix Ascend, Easy Dental, and TechCentral, as well as Henry Schein's international dental practice management systems, including Software of Excellence, Logiciel Julie, InfoMed, Exan, and LabNet, among others. Henry Schein One also will include the dental businesses of Internet Brands, including web-based solutions such as Demandforce, Sesame Communications, Officite, and DentalPlans.com. The teams dedicated to all these businesses will become part of the joint venture, which will initially employ approximately 1,500 team members and be headquartered in American Fork, Utah. Henry Schein will have majority ownership of the joint venture and Internet Brands will own a minority interest, with senior management from Henry Schein and Internet Brands serving on the board of Henry Schein One. The combined entity, which will serve markets globally, had pro-forma 2017 sales of approximately $400 million. Henry Schein expects the transaction to be neutral to the balance of its 2018 earnings per share, excluding the impact of one-time transfer taxes of approximately $4.5 million, or $0.03 per share, related to completing the transaction, and to be accretive thereafter. The joint venture expects to realize between $20 million and $30 million in annual synergies by the end of year three. The companies expect to complete the transaction in the second quarter of 2018, subject to certain pre-closing conditions. Financial terms of the agreement were not disclosed. "We are very pleased to create this joint venture with Internet Brands because we share the goal of being the best partner to help our dental customers operate successful practices for the ultimate benefit of their patients," said Stanley M. Bergman, Chairman of the Board and CEO, Henry Schein, Inc. "With this agreement, we combine two dental technology leaders who together will create a powerful new engine to accelerate our customers' growth. We believe our customers will have the most extensive suite of integrated programs and services, operating on leading practice management systems, to enable dental professionals to be more efficient and to increase their ability to deliver high-quality care to patients." Henry Schein One will deliver advanced, cutting-edge technology to address the challenges created by the current lack of technology integration in dental practices. Dental teams today use disparate technology systems that often don't connect with each another, thereby wasting time for the team and their patients. The mission of Henry Schein One is to raise the level of innovation and deliver a new platform of enhanced dental software and services that work together seamlessly to share data and streamline the digital workflow for each member of the dental team. Having end-to-end management and marketing systems will enable dental teams to be better business managers, clinicians to be more efficient, and patients more loyal to the practice. By helping each member of the dental team work smarter and faster to improve the practice and the entire patient experience, Henry Schein One will position dentists to focus more on delivering quality patient care. Integrating Henry Schein's practice management software with Internet Brands' web-based and mobile digital marketing and communications tools will give dental teams new tools connected to their practice management systems to better communicate with current and prospective patients, minimize appointment cancellations, improve adherence to treatment plans, and develop new sources of revenue. "By combining Henry Schein's strength in practice management software with our leading digital marketing applications in this new joint venture, we intend to leverage the considerable resources of both companies to provide our customers and their patients with a better experience," said Bob Brisco, CEO of Internet Brands. "We are only scratching the surface of what we can do together to improve how dental practices interact with patients in an age of digital communications. This joint venture will harness the power of the leading brands in this market for the benefit of everyone interested in delivering and experiencing better health care. We're very excited to work with Henry Schein to create a powerful new offering that is unmatched in the industry." The leadership of Henry Schein One brings deep knowledge and experience to the task of using modern marketing and communications technologies to enhance the customer experience. The company's Chief Executive Officer will be James A. Harding, currently the Senior Vice President and CEO of Henry Schein's Global Practice Solutions Group. Mr. Harding has also served as the Chief Technology Officer of Henry Schein, which he joined in 2000. The remainder of Henry Schein One's management team will be announced at a later date. Regular readers will know that I got a little techie/DIY a while back and decided to but an Echo Dot in my car. I’ve gotten a kick out of having Alexa help run my life and so through a bit of a kludge-fest in my vehicle, I now have the ability to use her wherever I am. I figured that it would only be a matter of time before someone started making that easier and it looks like that time has come. A company called MuseAuto has created the device in the image above. Called The Muse, it is a device that runs the Alexa system, but is about the size of a knob on your car radio. It connects to your phone via Bluetooth and uses the Muse app. It has the capability to perform over 30,000 Alexa skills such as to play music, podcasts, get directions, add appointments to your calendar, check your calendar, order online and call people hands-free.